The latest diplomatic shuttle which was supposed to convince Bosnian leaders that it is high time to strike a deal on power sharing did not result in a breakthrough. 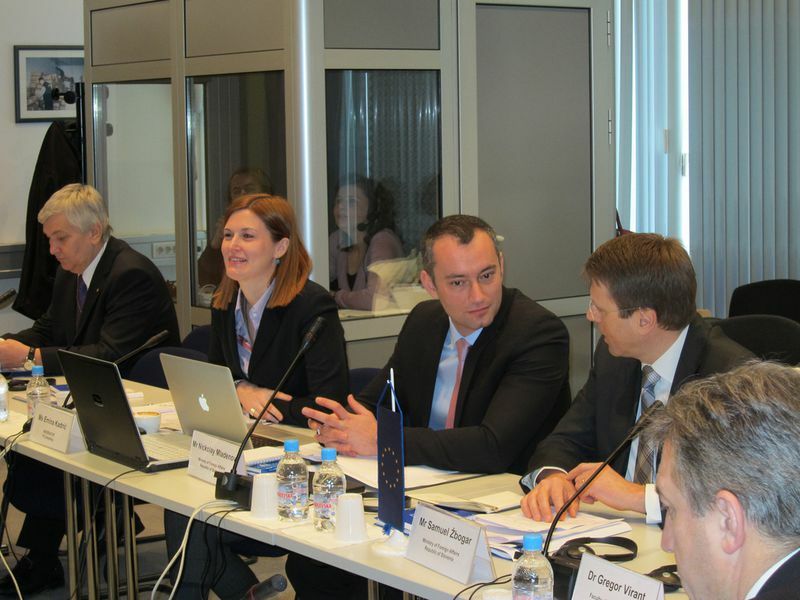 Foreign Ministers of Bulgaria and Slovenia Nickolay Mladenov and Samuel Zbogar met with local officials in Sarajevo on March 7th to reaffirm EU's commitment to the country while in the same time to voice their concern over a five-month long political stalemate in the country. Austrian foreign minister Michael Spindelegger cancelled his trip due to illness. The two top diplomats highlighted the need of drafting a joint EU-Bosnia and Herzegovina (BiH)'s action plan to define priorities and common vision of the European future of the country. 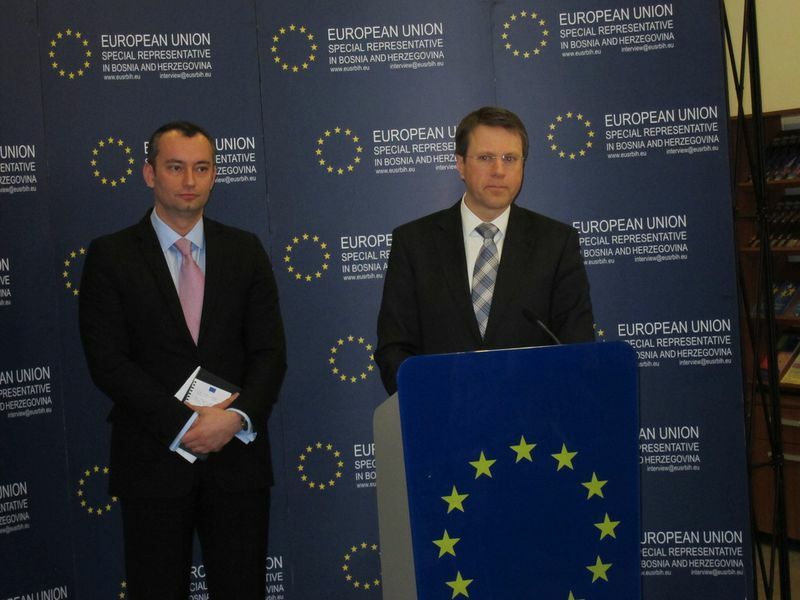 "The European Union will thus boost its presence in Bosnia, encourage economic cooperation and foreign investments and will guarantee security and stability of the whole region," the diplomats were quoted as saying by Bosnian Serb RTRS TV channel. 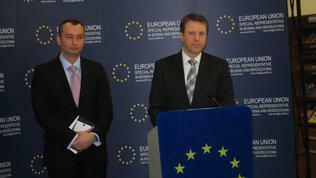 The foreign ministers reminded that Bosnia should meet three conditions before applying for EU candidate status. These conditions are to pass a law on state aid, law on population census and to implement the ruling of the European Court of Human Rights which declared the country's constitution to be discriminatory against the minorities. In late February Bosnian Serbs threatened to conduct their own census unless an agreement on central level is not reached. The population census is very sensitive issue alike in Macedonia because of controversial questions related to ethical and religious affiliation. This would be the first BiH census since the war. Slovenian Foreign Minister Samuel Zbogar announced that the EU could come up with a new document that would define the attitude towards BiH as it is about a "special country that needs special treatment." Bulgarian top diplomat Nickolay Mladenov in his turn said that Bulgaria and Slovenia were ready to help Bosnia on its path towards EU integration but they expected from the new governing bodies that would be constituted to have a European agenda. He warned that Bosnia was lagging behind its Balkan peers in view of EU rapprochement and reminded that the EU focus is shifting away from the Balkans. The meeting between political leaders and foreign ministers of Bulgaria and Slovenia was boycotted by the President of Republika Srpska and leader of the main Bosnian Serb party Milorad Dodik, as expected. He did not attend the talks in sign of a protest against a statement of Austrian foreign minister about the arrest of a Bosnian Army General in Vienna. Spindelegger was quoted as saying that it was is was unthinkable to hand over the general to the Serbian authorities which want him for war crimes committed during the 1992-1995 Bosnian war. According to Dodik this statement is an interference with the judiciary and is offensive for the relatives of the victims killed in the attack Divjak is blamed for. After the talks, the leader of the Serb Democratic Party (SDS), Mladen Bosic, told journalists that the meeting showed the lack of progress concerning government formation in the country. In his words the foreign ministers have left the country concerned. He voiced doubt that they would return soon to Sarajevo. High Representative Valentin Inzko also voiced his disappointment with the ongoing political stalemate and stubbornness of Bosnian politicians. 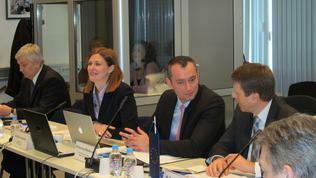 He warned that every day without authorities costs Bosnia precious time that the country could not afford.